We tend to think that arthritis is for older pets, but dogs and cats are actually affected by arthritis at any age. Sometimes the symptoms can be mild and unnoticeable. Or they can be debilitating and severely hurting your dog or cat’s quality of life. With this in mind, recognizing the symptoms and treating pet arthritis right away will ease the suffering. Here at EntirelyPets, we care about pets and their owners. So, we have developed this pet arthritis guide especially for you. After reading this guide you will know how to detect arthritis in your dog or cat along with ways to treat the disease. Arthritis is a medical condition of the joints which results in inflammation, pain and difficulty moving. The most common arthritis in pets is called osteoarthritis. This is when the cartilage that covers the joints is worn out in between bones. Without this cartilage as a cushion, damage is caused when the bones rub together which is very painful. Keep your pet active with low-impact exercise. Having your pet do a low-impact exercise regularly or keeping them active will greatly help prevent the onset of arthritis. This allows your pet’s natural body fluids to lubricate their joints which allows them to move more smoothly. Intense exercise may increase the chances of arthritis. A great low-impact exercise example would be a stroll in the park on a leash. Always watch your pet’s weight. Obese pets have a higher chance of developing arthritis because their joints are burdened from caring to much extra weight. 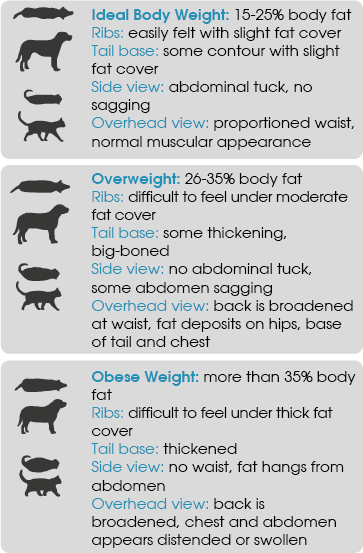 Overweight pets may develop arthritis as early as 5 years old. 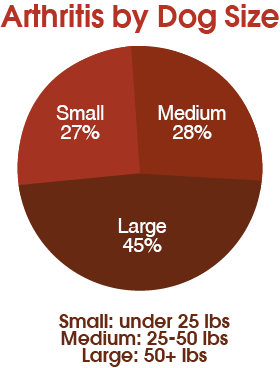 Give your pet nutrient filled food and supplements to maintain their ideal weight. Regular trips to the vet are always a good practice, but even more so in catching arthritis for early prevention. Vets are able to detect early warning signs and intervene before more problems occur. Make an appointment with your local vet today! Veterinarians will likely prescribe nonsteroidal anti-inflammatory drugs (NSAIDs) to help control inflammation and reduce the pain. However, long term use of NSAIDs can cause renal and gastrointestinal problems. Use this pet medication in moderation and as prescribed. Physical therapy is becoming more common in veterinary medicine. This helps loosen up their joints and relieve stiffness. With the right treatment plan physical therapy can be effective. In addition, alternative medicine treatments can be effective as well. Laser therapy, acupuncture electro stimulation and therapeutic ultra-sonography are some examples of alternative treatment options. Create a comfortable living environment for your dog or cat that has arthritis. If you have hardwood floors or tile, place non-slip rugs around your home to help your pet move around and also to prevent your pet from falling. Also, give your pet a nice cushioned place to sleep such as anorthopedic bed. Their arthritis can worsen if they sleep on hard surfaces that put excessive pressure on their joints as they lay down. Another comfort remedy to treat arthritis in your pet is to raise their food bowl off the ground. It can be painful for your dog or cat to bend their head down to eat because the arthritis hurts in their back or neck. Finally, help your pet move around. Ramps and stairs placed around your home will help them move up and down from high places. What used to be an easy walk or jump is no longer the case. Seeing your pet in pain is saddening and we wish we could take it away somehow. Well, there is a way for dogs that is safe and effective at relieving joint pain associated with arthritis. Just like humans who have aspirin to relieve pain, there is a dog aspirin called Arthrin. Not only does it offer pain relief, but it reduces inflammation as well. It will not upset your dog’s stomach either. This dog pain reliever will make them feel better and ready to move. Pet owners can help their dog or cat fight against arthritis. It is always up to the pet owner to recognize, prevent and treat this common disease among pets. Dogs or cats have a hard time letting us know what is bothering them, so following this guide is key to raising a happy pet.